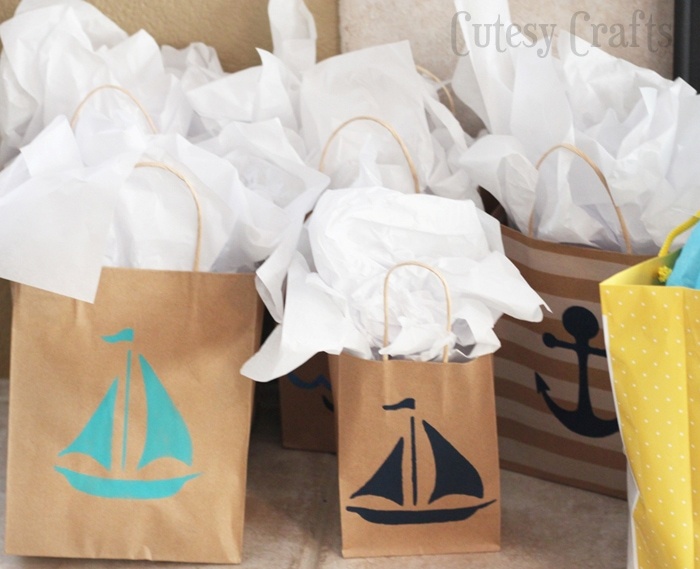 I helped throw a DIY nautical baby shower for my sister last summer. Yes, it’s taken me this long to post about it. I had a mini freak out where I thought I lost all of the photos, but luckily I found them in an email that I sent to my sister. Hooray! So now I get to show it to you. We had so much fun planning the decorations and games for the party. 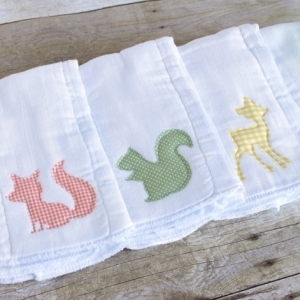 I’ve also got a few free baby shower printables and cut files for you, so keep reading to get those. 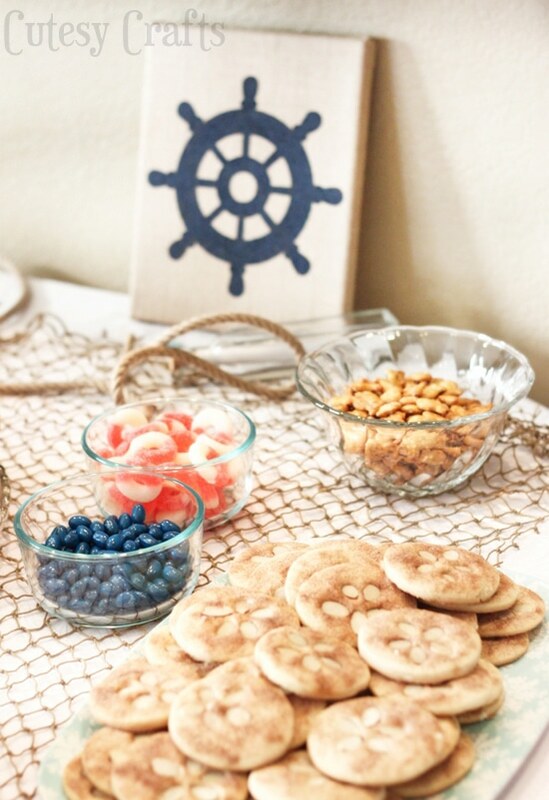 Also be sure to check out this other post for more nautical baby shower ideas. We had a VERY yummy lunch with all kinds of salads, fruit, and some bread that my little sister got from a bakery in San Francisco. 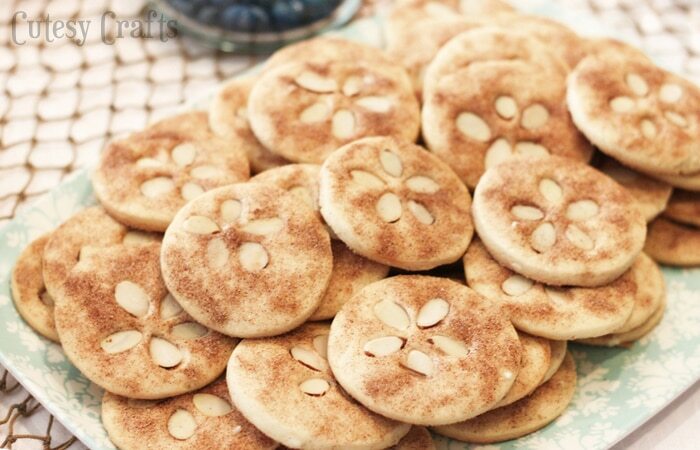 I made some pretty sand dollar cookies using this recipe here. I have to say that they looked pretty, but weren’t sweet enough for me. Maybe I wanted more of a snicker doodle taste? These were more like plain sugar cookies. Everyone thought they were so cute though! We also had bowls of blue jelly beans, pretzel fishy crackers, and gummy life saver things. Now for the decorations! 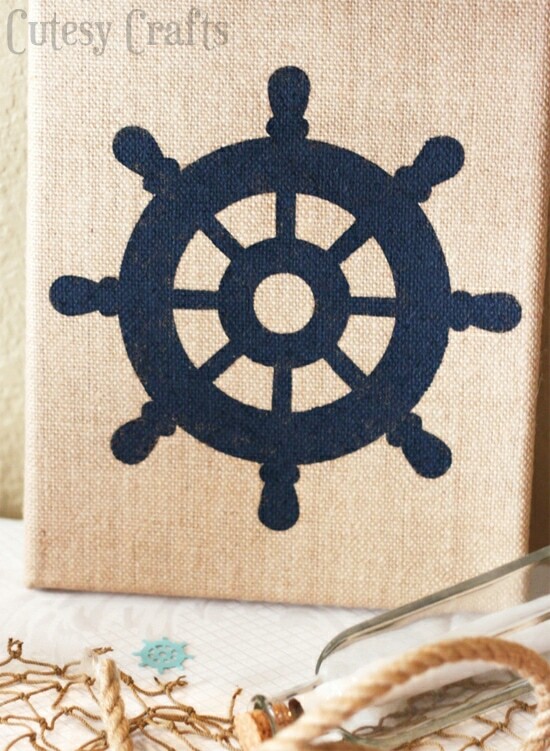 This was just a burlap canvas that I picked up at the craft store. I used my Silhouette to cut the ship wheel stencil out in vinyl, and then painted it with some acrylic paint. Here‘s the free cut file if you want it. 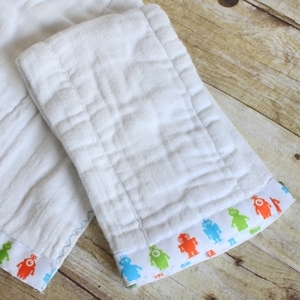 I gave it to my sister after the party, so she could put it in the nursery. You can also see on the table, I got some decorative fish netting, rope, and a glass bottle (with a “note” rolled up inside). I found all of this at Michaels (in the floral section I think). I also got this bottle vase at Michaels. It came with the netting already on it. And don’t you just love these flowers??? I can’t remember what kind they are, but I need to get some more next time I’m at the grocery store. They are so pretty! 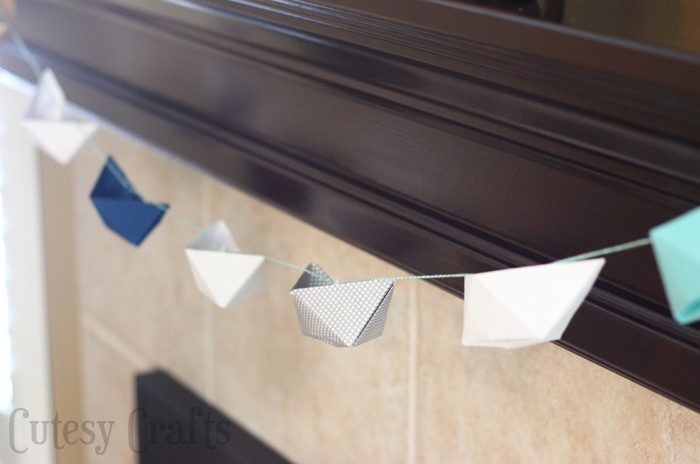 I made a garland with some paper boats that I folded using scrapbook paper. 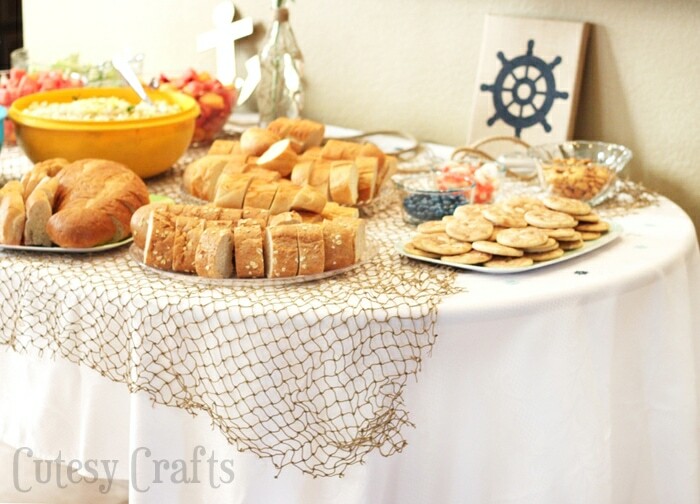 I had some bigger paper boats sitting around that we used as candy dishes as well. 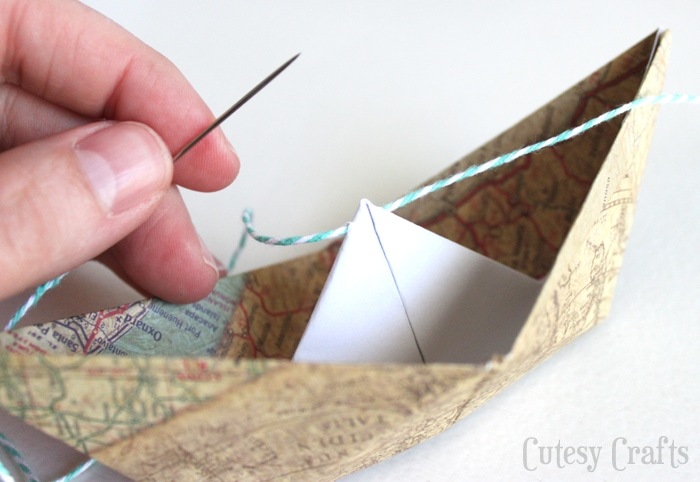 I just put some baker’s twine through an embroidery needle and pushed it through the top of each boat for the garland. 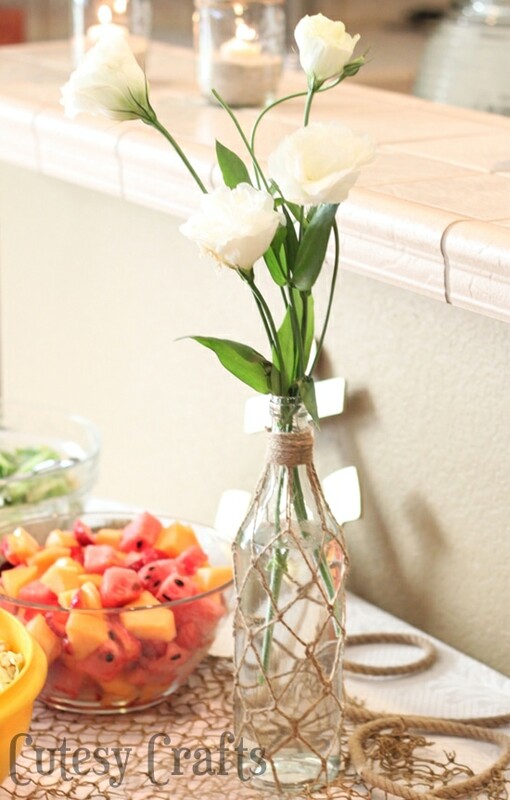 These mason jar candle holders were really easy to make. 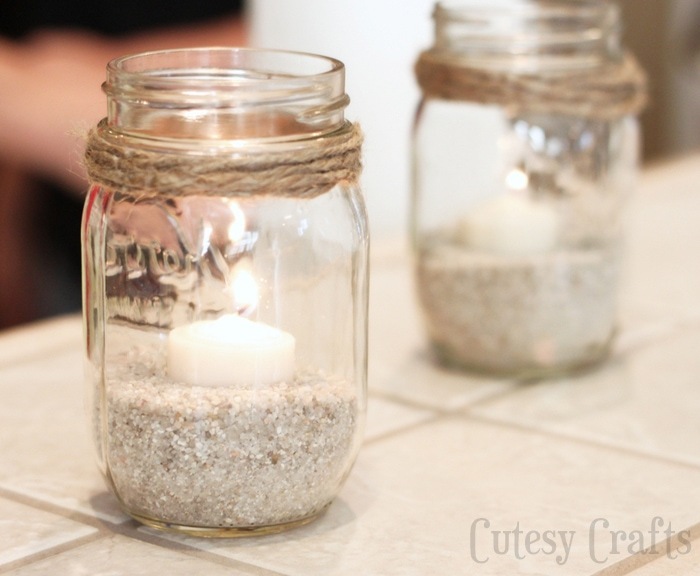 Just pour some sand in the bottom, plop a tea light candle in the middle, and wrap some twine around the mouth of the jar. We played a few games at the shower. You know this one. 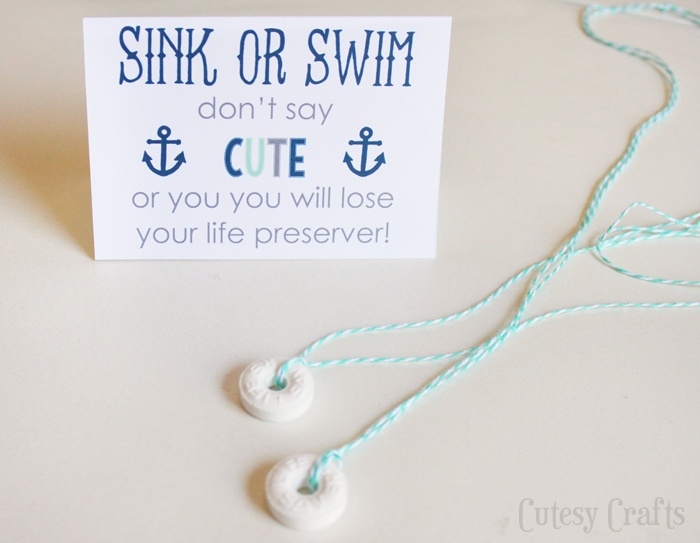 Everyone gets a necklace with a “life preserver” on the bottom (a life saver on some baker’s twine). If someone catches you saying the word “cute”, they get to keep your necklace. The person with the most necklaces at the end wins a prize. And this is a HORRIBLE photo. I tried to fix it, but the lighting was really bad. You get the idea though. We took a blue mason jar, filled it with graham fishy crackers, and tied some twine around the top. 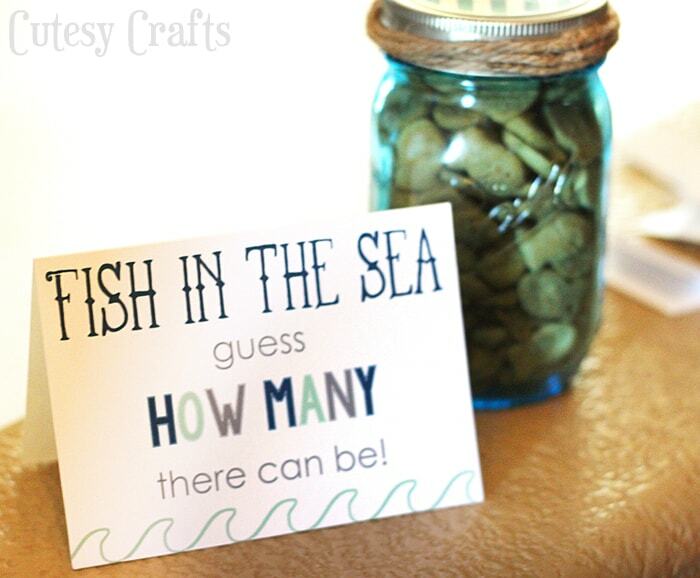 Everyone had to guess how many fish were in the jar. The person who guessed closest to the real amount got to keep the jar of fishies and a prize. Here‘s a free printable for both of the games. We got some brown paper gift bags for the prizes. I used my Silhouette, again, to make some stencils for the fronts using heavy card stock. Here‘s the cut file for those. 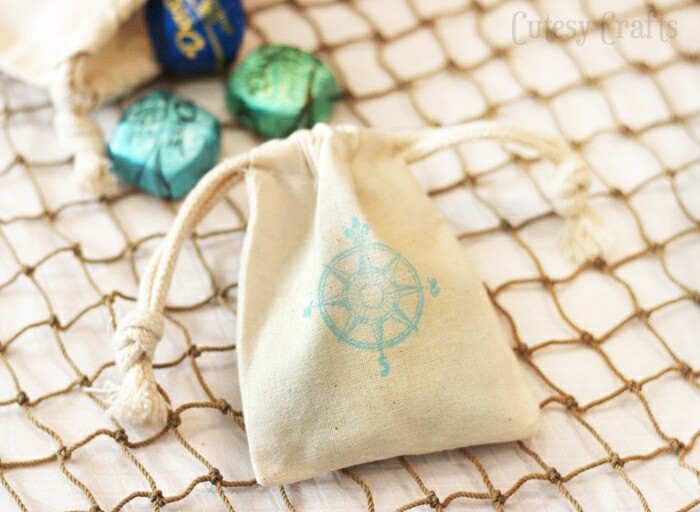 For party favors, I took some muslin draw string favor bags and stamped them with a compass stamp. Those were filled with pretty blue and green wrapped chocolates. 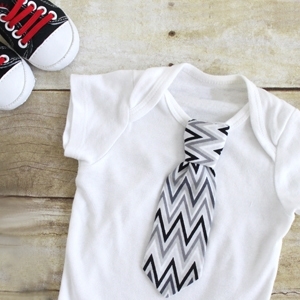 If you’re planning your own DIY nautical baby shower and need some invitation inspiration, here’s the free nautical baby shower invitations that I made. You can get these printed as a photo or invite. 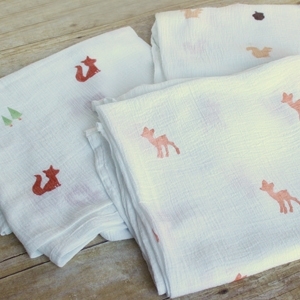 Aren’t they cute?! That’s it! If you missed links to any of the files, you can get those all here. 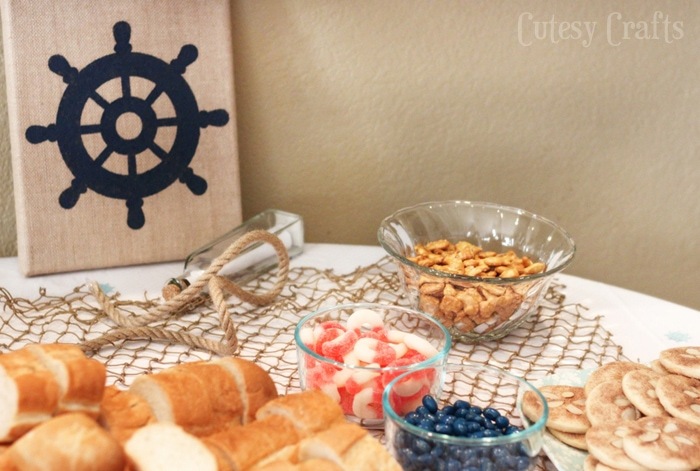 If you use them or like these DIY nautical baby shower ideas, I’d love for you to subscribe or follow me in some way. 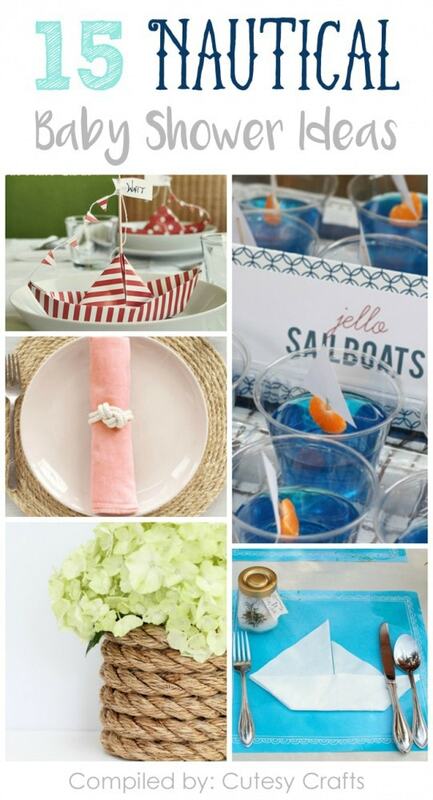 Also be sure to check out these other 15 Nautical Baby Shower Ideas! 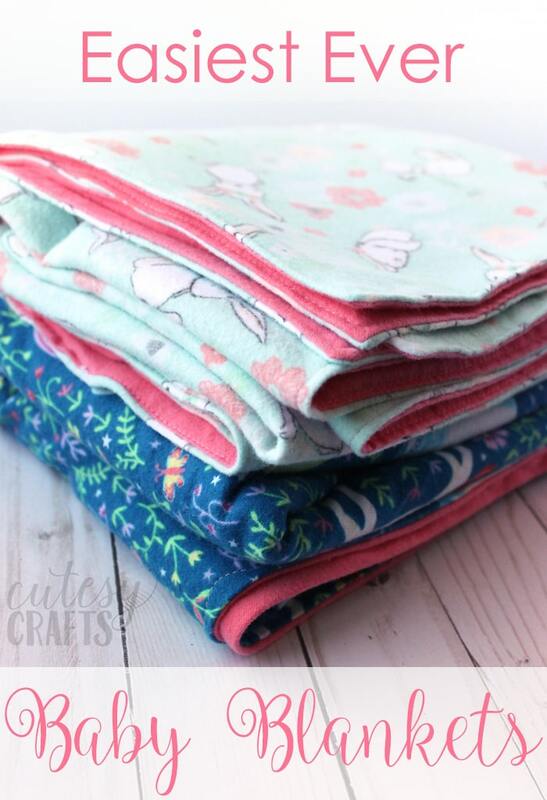 Also take a look at How to Make a Blanket for a Baby. I love the invite, but I need it to say Ahoy, its 2 boys, can that be done? Hi, wondering if you have the file for the invitation. I tried downloading it but it would only let me view the file and not edit the information. 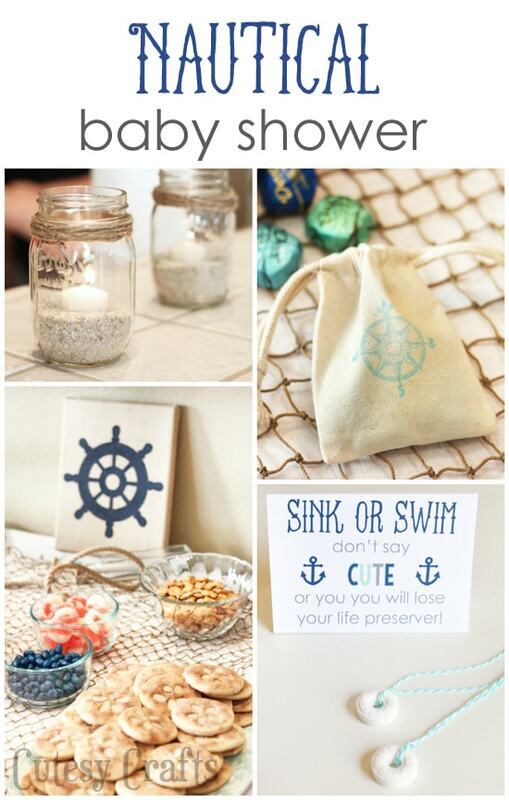 I am trying to do a nautical baby shower for my sister in law who is expecting their first and I love your invite. If you could share the file, that would be great. Thanks! By the way, I love the pictures from the shower. Thanks! You need to have a program that can read the file, like Photoshop or Photoshop Elements. Is that what you are opening it with? Was able to open invite in Picasa but can’t change text. Any thoughts? Should I just download a free trial of Photoshop Elements? Which verse did you use? Yeah, I think you will need to use either photoshop or photoshop elements. I created it in photoshop elements 9, but I think any version should work.